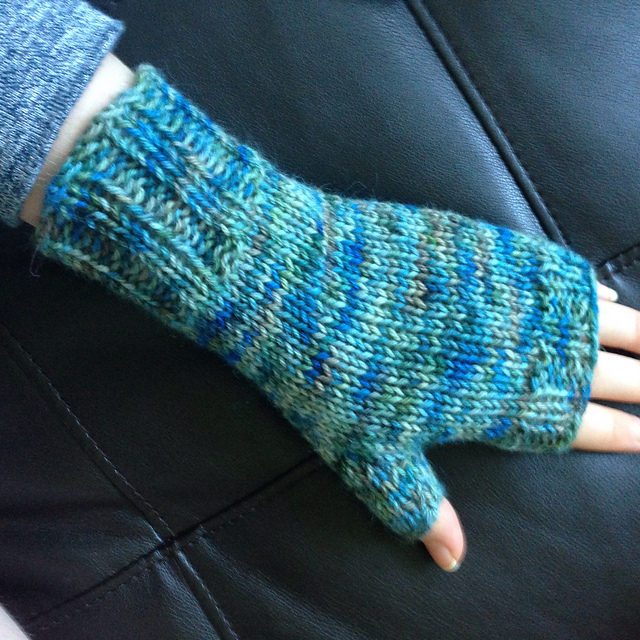 My mom requested a pair of mitts for fall, so I knit these the week before giving birth to Reuben. They arrived just in time for me to gift them to her before the lovely postpartum month descended upon me. I used handmade yarn from Fairy Tale Knits that I bought at a yarn fair. I love her yarn so much! 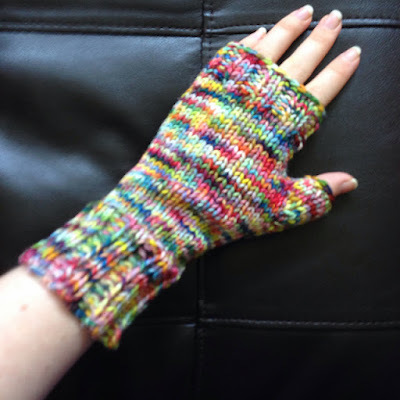 Then I made a pair of rainbow gloves for myself, using the same pattern and more Fairy Tale Knits yarn. I love these and they are so warm, bright, and awesome. I made these in the dreaded "postpartum" month, on and off while baby slept. It was nice to feel like I was doing something normal with my hands on my "down time". Made anything lately? I am currently working on a hat. Baby naps are amazing things.